How Much Does It Cost to Get a Wisdom Tooth Extraction? Not everyone has wisdom teeth, and not everyone who has wisdom teeth needs to get them extracted. However, it isn’t uncommon for these third molars to present a serious risk to a patient’s oral health, in which case a dentist is likely to recommend a wisdom tooth extraction in 45750. The well-being of your mouth should be the biggest factor that influences your decision of whether to undergo the surgery, but it’s important to look at monetary considerations as well. Let’s examine some of the factors that can influence the cost of the procedure. The state of the wisdom teeth has a big effect on whether extracting them will be a simple or complex procedure, and — you guessed it — more complex procedures cost more. When the wisdom teeth don’t have enough room to erupt properly from the gum line, they can become stuck in place and perhaps even cause damage to your other teeth. When this problem occurs, wisdom tooth extraction in Marietta is especially important, but it may also cost significantly more than if the teeth weren’t impacted. That’s because the oral surgeon will have to cut into the gums and perhaps even remove a bit of bone in order to extract the teeth. If the teeth aren’t impacted, removing them is a much simpler (and less costly) procedure. People usually have four wisdom teeth, but if only one of those teeth is causing problems, should you still get all of them extracted? Really, that’s up to you. Yes, getting all of them removed at once may cost a bit more upfront, but it could also save you money in the long-term since you’ll only have to pay for anesthesia once. Plus, the recovery time for having one or all four wisdom teeth removed is about the same, so you won’t have to worry about being down and out for an extended period. If you don’t have dental insurance, you’ll be responsible for paying for the entirety of your surgery. Most surgeons require payment at the time they render the services, so it’s important to be prepared with your chosen method of payment. If you don’t have the funds to pay for the whole surgery at once, you may be able to use CareCredit, a low to no interest financing option. 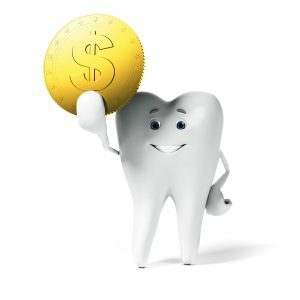 If you do have dental insurance, your policy may cover about half of the cost of the procedure. Of course, you’ll have to double-check with your coverage provider to make sure. If you need to have your wisdom teeth removed, don’t let concerns about cost hold you back. Your oral health is worth it! Dr. Jeff Lee is a skilled oral surgeon who offers excellent, compassionate care. He also understands that many patients have financial concerns, which is why he accepts CareCredit and many types of insurance. If you would like to learn more about wisdom tooth extraction and its potential cost, please contact our Marietta office at 740-236-9392. Comments Off on How Much Does It Cost to Get a Wisdom Tooth Extraction?